Since the Court of Appeals misinterpreted Deutsche v. Johnston, 369 P.3d 1046 (2016) 2016-NMSC-013, by thwarting its stated requirement that, ‘To show a “direct and concrete” injury, Deutsche Bank needed to establish that it fell into one of these three statutory categories that would establish both its right to enforce Homeowner’s promissory note and its basis for claiming that it suffered a direct injury from Homeowner’s alleged default on the note,” only review by this Court of the issue as it relates to foreclosures that are commenced with a copy of the Original Note attached to the Complaint for Foreclosure, then at a later stage the plaintiff enters an Affidavit of Lost Note, which at trial is shown to be false in view of records showing the last time the Original Note was seen was years before the Complaint for Foreclosure was filed and years before a foreclosure judgment on the same instrument by a different entity. The Court of Appeals Proposed Summary Disposition was issued on April 10, 2018, its Memorandum Opinion was issued on September 19, 2018, its Order that Emergency Motion for Stay of Enforcement scheduled for September 19, 2018 is moot was issued on September 19, 2018, its Order denying Motion for Rehearing was issued on October 4, 2018, and this Petition is timely filed. Does a bank lack standing to seek foreclosure when it commences the foreclosure with a copy of the Original Note attached to the Complaint for Foreclosure, then years later files an Affidavit of Lost Note that at trial is shown to be false when records show that the last time the Original Note was seen was years before the bank’s filing of the complaint as well as years before a foreclosure judgment on the same instrument for a different entity? Does an Amended Complaint stating that the Original Note was lost cure the lack of standing? Does the lack of service on the defendant in combination with the defendant’s first appearance being an objection to the lack of service contravene the U.S. Constitution’s Fourteenth Amendment, “nor shall any State deprive any person of life, liberty, or property, without due process of law. On March 18, 1993, Karen M. Kline made a $72,000 promissory note with fixed interest of 8.125% and monthly payments of $534.6o to Bank United of Texas, FSB, in return for a mortgage loan in the purchase of her modest townhome at 3255 Calle de Molina in Santa Fe. On September 17, 1993, the mortgage, together with the instrument, was assigned to GE Capital Mortgage Services, Inc.
On March 21, 1996, GE Capital Mortgage Services, Inc. filed for Foreclosure against Karen M. Kline, D-101-CV-199600713. The note attached to the Complaint was unendorsed. On May 27, 1997, Karen Marie Kline filed Chapter 11 Bankruptcy, No. 11-97-13074. To pay the legal fees of lawyers representing the lenders on her properties, on March 9, 2000, Karen Kline agreed to modify her loan, bringing the unpaid principal balance to $92,495.11 and her payments to $686.77. Her Chapter 11 Plan was confirmed on August 10, 2000. On August 23, 2000, GE Capital Mortgage Services, Inc. dismissed its foreclosure by stipulation. On September 30, 2000, GE Capital Mortgage Services, Inc. entered into a “Subservicing Agreement” with Wells Fargo Home Mortgage, Inc. to service loans, to include Karen Kline’s loan, In Rem Judgment, ¶ 21. Under the agreement WFHM performed document management, bankruptcy and foreclosure management among other things. Ibid., ¶ 23. The Subservicing Agreement provided that First Union National Bank would continue as the Document Custodian, Ibid., ¶ 25, and retain possession of “’Mortgage Documents,’ which expressly include promissory notes,” Ibid. ¶ 26. In early 2001 Karen Kline moved into her condo at 729 W. Manhattan, Santa Fe, 87501 so that she could rent her two larger properties and continue to make good on her Chapter 11 Plan. At trial she testified that upon moving in her health deteriorated: she frequently bumped into things, fell, had trouble breathing, and had significant memory problems. In the worst fall her head hit the brick floor and she sustained a brain injury. A structural engineer’s tests showed the condo had been built over an outdoor toilet pit. Subsequent air quality tests showed hydrogen sulfide in the condo. She had the pit dug out and filled with the proper concrete product and was finalizing a sales contract when she learned the condo had been foreclosed and auctioned without a hearing after her answer, and without notice to her. On May 16, 2002, original loan documents were received by WFHM, Ibid. ¶ 27. The Original Note was imaged on May 16, 2002, Ibid. ¶ 28. A screenshot of the image was not produced at trial. On September 21, 2002, the original documents were returned to the Document Custodian, First Union, and FNMA. Ibid. ¶ 29. On January 15, 2004 Wells Fargo requested the Original Note from FNMA. On February 2, 2004, the file sent by FNMA did not include the Original Note, Ibid. ¶ 29, footnote 2. 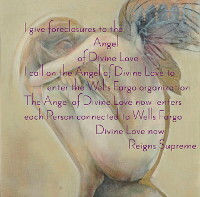 Subsequently, the Complaint for Foreclosure prepared by Wells Fargo, as subservicer for GE Mortgage Services, LLC, successor by merger to GE Capital Mortgage Services, Inc., and filed on February 27, 2004, D-101-CV-200400390, did not have a copy of the Original Note attached. On February 9, 2005, GE received a Summary Judgment Decree of Foreclosure showing as a matter of law that GE was the holder of the note. Prior to the auction Karen Kline asked Wells Fargo to postpone for three weeks at which time she could pay off the mortgage from closing on her single family home. Wells Fargo’s refusal and the fact she sent them payments led to the first of three things she didn’t understand: why Wells Fargo wasn’t the plaintiff. If the Complaint had said Wells Fargo, as subservicer, managed the foreclosure, confusion and loss of time would have been avoided. Karen Kline filed for bankruptcy to once again reorganize and pay everyone, which she could not do if GE had one third of her properties. By this time, however, Karen Kline had contracted tetanus on August 14, 2004, from a puncture wound on her toe that she did not feel due loss of sensation after living in her condo with the hydrogen sulfide. In her debilitated state, doing another Chapter 11 was unrealistic so she tried to do a Chapter 13, but was unable to meet the shorter time frames and the bankruptcy was dismissed. Karen Kline filed a motion on October 3, 2005, to force Wells Fargo to give a payoff amount. Shortly thereafter Karen Kline used funds from the sale of her single family home to reinstate the mortgage. The delays had caused costs that made paying off the entire mortgage no longer possible. Thereafter the case was voluntarily dismissed. 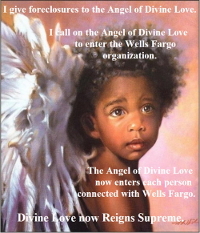 On July 1, 2005, the mortgage was assigned to Wells Fargo Bank, N.A. 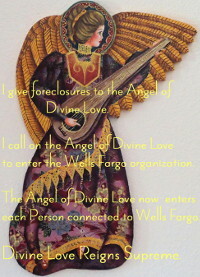 On April 7, 2008, Wells Fargo filed its Complaint for Foreclosure and summonses were issued. However, the record shows that Karen Kline was not served. She found the case while using CaseLookUp and on May 8, 2008, filed an objection stating that she had not been served. Her objection is shown on the docket as a response. On June 5, 2008 Wells Fargo filed Affidavit of Due Diligence and Non-Service falsely stating there were cobwebs on the door at 3255 Calle de Molina. On June 6, 2008 Karen Kline filed Motion to Strike Request for Hearing that Accompanied Plaintiffs Response to Pleadings and Motion by Defendant to Compel Service of Complaint, and Corrections. On June 11, 2008, the Affidavits of Pierre Aiko Hirano and Michal Hall Curry, both Kitchen Angels volunteers were filed stating they delivered meals to Karen Kline and there were no cobwebs on her door. At the subsequent hearing Karen Kline was told by the Court that it had jurisdiction because she found the case on CaseLookUp and had appeared and she could not therefore claim she didn’t know about it and that there was lack of service since service was meant to let her know, and her appearance proved that she knew. The Complaint has a copy of the note attached. Unlike the copy of the note attached to the 1996 Complaint for Foreclosure, Wells Fargo’s later copy has an endorsement dated MAR 26, 1993 despite the fact Wells Fargo does not have a record of the Original Note being received from FNMA or the document custodian prior to the filing of the 2008 Complaint. On May 26, 2009, Karen Kline sent Requests for Production to Wells Fargo for the certified mail receipt showing the summons was mailed to her as Wells Fargo claimed, the original note, and a copy of her letter sent on 9/1/05 that included an email in which the title company agent, Attarah Gutierrez, said, “Yes,” she could pay off the loan on Karen Kline’s home at 3255 Calle de Molina. None of these things were produced. On August 12, 2009, Notice of Hearing on 10/19/2009 @ 10:00am RE: Plaintiffs Motion for Summary Judgment, was filed. On September 22, 2009, Wells Fargo wrote offering Karen Kline a Home Affordable Modification Program loan modification, “You must call us to finalize this offer by October 6, 2009 so that we can establish your trial modification plan.” Karen Kline called, finalized and made payments in the new amount of $279.56 on October 4, 2009, November 4, 2009, and December 4, 2009. Prior to this her payment had risen from $686.77 to $809.72 despite fixed interest. According to HAMP guidelines, entry into a trial period stopped foreclosure and, upon a successful trial period, modification would become permanent. On October 14, 2009, Wells Fargo filed Motion to Continue Hearing on Motion for Summary Judgment and to Stay All New Pending Motions, Responses, Replies and Discovery Requests and Responses. Thus, Admissions would be put on hold. On October 19, 2009, an Order of Continuance was entered. Thereafter, Wells Fargo informed Karen Kline that her modification was denied. Her checks were, however, cashed. On October 11, 2010, Wells Fargo filed Request for Hearing RE: All Pending Motions and Outstanding Pleadings that May Remain Unresolved. Hearing was held and case resumed. On September 6, 2011, Karen Kline filed Motion to Dismiss for Failure to State a Claim Upon Which Relief can be Granted: there were two previous foreclosures on the same note and mortgage and each was voluntarily dismissed. Under Rule 1-041(A)(1) the second dismissal would constitute adjudication on the merits and res judicata would bar a third action. She attached a copy of the 1996 mortgage and unendorsed note, the 2004 mortgage which did not have a note attached, and a copy of the note with an endorsement dated MAR 26, 1993, attached by Wells Fargo to its 2008 Complaint for Foreclosure. She believed the 1996 copy was from right after closing. Because the first endorsement on the 2008 copy was small, somewhat blurred and hard to read she believed it had come years after closing, rather than a few days. She didn’t make an issue of the fact the later copy of the note had endorsements dated before the earlier copy, which nonetheless did not appear on the earlier copy. Her motion was denied. In 2014 Karen Kline used an inheritance from her grandfather that had been in a living trust to have a new roof installed, plumbing updated, a skylight and Solatubes installed, and the deck that she had earlier replaced, enlarged. Also earlier, she had Saltillo tile installed throughout and a solar electricity system installed. Outside she had landscaped extensively. 2011 to 2015, Counsel for Wells Fargo changed, there was a year of inactivity and Karen Kline kept filing for dismissal. The second thing she didn’t understand, however, was blank endorsements. The copy of the note attached to Wells Fargo’s Complaint for Foreclosure was endorsed, WITHOUT RECOURSE PAY TO THE ORDER OF: GE Capital Mortgage Services, Inc. dated MAR 23, 1993, followed by, PAY TO THE ORDER OF (space) WITHOUT RECOURSE, GE Capital Mortgage Services, Inc. undated. By focusing on the fact there wasn’t a specific endorsement to Wells Fargo, she lost sight of the fact that there were no endorsements on the copy of the note attached to the 1996 Complaint for Foreclosure. Her Motion to Dismiss for Lack of Standing, filed April 15, 2015, cited extensively from Bank of New York v. Romero, 320 P.3d 1, 2014, but fatally misunderstood the blank endorsement on the note, and was denied. On March 18, 2016, Wells Fargo filed its Motion for Leave the File Amended Complaint. On April 6, 2016, Karen Kline opposed, “Hawkland’s and Miller’s respected treatise on the UCC construes §55-3-301 of the code to require that a person seeking to enforce an instrument through a court action possess the instrument at the time the action is commenced or to state that the instrument is lost,” pages 1-2. Wells Fargo’s response contained the third thing Karen Kline did not understand. Parts of it that weren’t true appeared to come from Wells Fargo lawyers, not Wells Fargo itself. This conflicted with her understanding that lawyers were supposed to be truthful in court, yet here they were saying that her Opposition was the same as her 2015 Motion to Dismiss and therefore had already been decided by the Court. The fact, however, was that her 2016 Opposition was clearly based on Deutsche v. Johnston, not Bank of New York. At the hearing on the motion Karen Kline had printed Deutsche from a different source than attorney Montano. The more anxious she became in trying to find the pages he was referencing the more confused she became until she was unable to pull her thoughts together to refute him. She saw that her brain injury would make doing the trial herself an unwise choice since her thinking has been extremely slowed and is now better suited to writing than talking. She asked for time to find a lawyer. Time was granted as was Wells Fargo’s motion for leave to amend. Karen Kline hired Eric Ortiz who wrote her Answer to the Amended Complaint, Affirmative Defenses, and Counterclaim and filed the document late. Wells Fargo moved for it to be stricken for being late filed and all but the answer itself were struck. At trial the fact the Original Note was last seen in 2002 was established by Wells Fargo records, its witness, Brooke Bosier, and in closing arguments by Wells Fargo’s lawyer, Mr. Montano¸ 5/24/2017, 4:32:36 PM, “Defendant’s original note went missing sometime in 2002;” the log notes continue, 4:34:14 PM, “Plaintiff s do know that after September 2002 the note went missing”. 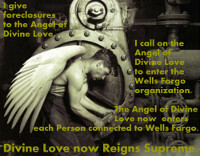 Nevertheless, judgment was entered for Wells Fargo. The parties shall not argue issues that are not contained in either the docketing statement or the statement of the issues. The Court may, for good cause shown, permit the appellant to amend the docketing statement or the statement of the issues. The appellant may combine a motion to amend the docketing statement or the statement of the issues with a memorandum in opposition. Her amendments included that the last time the Original Note was seen, was 2002, and that in 2005 GE Mortgage Services, LLC received a Summary Judgment Decree of Foreclosure showing as a matter of law that GE was the holder of the note. the Court of Appeals eviscerated the protections provided to New Mexico homeowners and the integrity of the State’s title system by affirming a decision in which the plaintiff was not required to confirm it had the proper documentation before filing suit and was allowed to choose two UCC categories in establishing its right to enforce the promissory note. (1.) The standing of banks filing foreclosures with a copy of the Original Note attached to the Complaint and later filing an Affidavit of Lost Original Note as if the Note had since been lost, whereas the Note was last seen before filing the Complaint poses an important issue that needs this Court’s guidance for pending as well as future cases. Revelations of fraudulent documentation among lenders, servicers and subservicers makes standing to sue to foreclose or settle defaulted home mortgage loans an upfront issue. Here, Wells Fargo’s business records show that the last time the Original Note was seen was in 2002 when Wells Fargo was subservicer for GE Capital Mortgage Services, Inc. In 2oo4, when the Original Note was requested by Wells Fargo from FNMA, the FNMA file arrived without the Note. Thereafter, no copy of the Note was attached to GE Mortgage Services, LLC, successor by merger to GE Capital Mortgage Services Inc.’s 2004 Complaint for Foreclosure. On February 9, 2005, GE received a Summary Judgment Decree of Foreclosure showing as a matter of law that GE was the holder of the note. Despite an Affidavit of Lost Original Note having been shown at trial to falsely state that the note had been shipped to Wells Fargo’s litigation department, Wells Fargo’s contested standing was upheld by the District Court and affirmed by the Court of Appeals (Op. 7). FV–I, Inc. v. Kallevig, decided on April 21, 2017. New Mexico’s doctrine of collateral estoppel may bar Wells Fargo from re-litigating its standing in the instant case. S. Butzier, New Mexico Adopts Modern View of Collateral Estoppel, 18 NM L.Rev. 597 (1988). Hawkland’s Uniform Commercial Code Series construes §55-3-301 of the code to require that a person seeking to enforce an instrument through a court action possess the instrument at the time the action is commenced or to state that the instrument is lost. This agrees with Deutsche when it states, ‘To show a “direct and concrete” injury, Deutsche Bank needed to establish that it fell into one of these three statutory categories,’ emphasis added. Allowing Wells Fargo to cure lack of standing by filing an Amended Complaint stating that the note is lost, contravenes Hawkland and Deutsche. (3.) The Court of Appeals of Georgia wrote, “Hardy contends that Lucio’s consent to transfer the case to Cobb County and his participation in discovery constituted a waiver of his defense of insufficient service of process. For Lucio’s acts to serve as a waiver of his previously asserted objection to jurisdiction, “his acts or omissions to act, relied on, should be so manifestly consistent with and indicative of an intention to voluntarily relinquish a then known particular right or benefit, that no other reasonable explanation of his conduct is possible.” . . . Lucio has not acted in a manner clearly showing his intent to relinquish his defense. Hardy v. Lucio, 578 SE 2d 224, 2003. Dailey v. Foster, 1912-NMSC-045, 17 N.M. 377, 128 P. 71 (S. Ct. 1912), says, “Whether an appearance is general or special is governed by the object and purpose of the appearance and any action upon the part of the defendant, except to object to the jurisdiction, which recognizes the case as in court, will amount to a general appearance. Karen Kline was told by the Court that it had jurisdiction because she found the case on CaseLookUp and had appeared and she could not therefore claim she didn’t know about it and that there was lack of service since service was meant to let her know, and she knew. “Moreover, the court, in effect, improperly estopped the defendant from raising the alleged defect in service as a defense,” European American Bank Trust Co. v. Serota, 242 A.D.2d 363 (N.Y. App. Div. 1997). For the foregoing reasons, this Court should grant certiorari to review and reverse the Court of Appeals’ decision, and remand this case for further proceedings consistent with this Court’s opinion and mandate as to all pending claims and counterclaims. MUR, SILER & ACCOMAZZO, P.C. Subscribed and sworn to before me this 30th day of October , 2018 .